The Pontiac Fiero has a much-maligned history. The first mass-produced mid-engined sports car by a U.S. manufacturer had plenty of people excited in the mid-1980s. But the car’s exotic body style didn’t translate over to the powertrain. A 2.8-liter V6, designed to satiate critics upset at the Fiero’s lack of oomph, was still a disappointment for many. Production ended before General Motors could issue a course correction with a second-generation model. That doesn’t mean the Fiero has been left in the dustbin of automotive history. Tuners and tinkerers have used the mid-engined platform with great success such as the gentleman above who has crammed a V8 engine behind the driver—and it sounds glorious. Road & Track discovered the video, which was originally shot in 2009 and uploaded to YouTube in 2011. We know little about the car in its current state today; however, the video descriptions give us a hint at the modifications that took place nearly a decade ago. Under the hood is a V8 engine making over 600 horsepower, turning this otherwise exotic sports car into a drag racing monster. It’d be a grade-A sleeper if it weren’t for the top of the engine exposed. And it’s not the first V8 Fiero, by any stretch. The video quality isn’t the greatest—a reminder of mobile photo advancements—however, you don’t have to see the Pontiac Fiero with your eyes to understand it means business. The rumbling V8 engine is enough to warn any curious onlooker that this tiny Pontiac can punch far above its weight class. When the owner uploaded the video in 2011, he mentioned the car was again undergoing modifications. 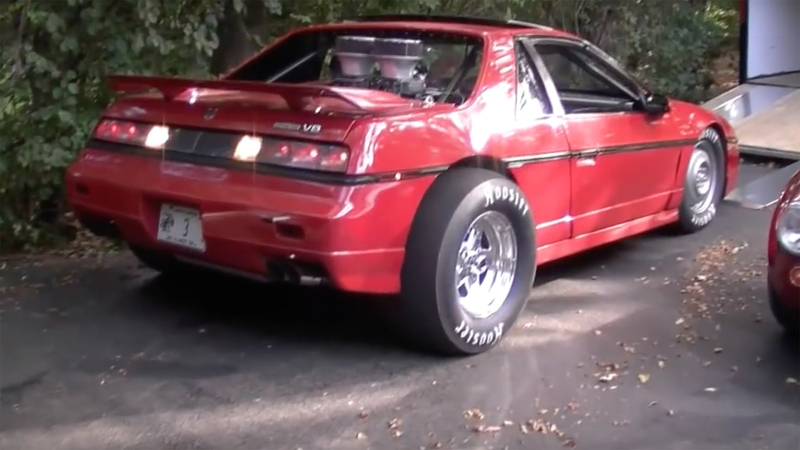 This modified Pontiac Fiero is a testament to how some cars can have a second life when they find a dedicated owner. Modifying GM’s mid-80s mid-engined sports car may seem like a lost cause to some—who’d want to modify a Fiero, some may ask. Then again, it’s doubtful there are many 600-hp, mid-engined Feiros running around. With the mid-engined Chevrolet Corvette in development, maybe we’ll see the two face off at the track one day. That’d be a race to watch. I remember a Fiero in the Engineering garage in Pontiac, it had twin turbos and one of the engineers told me it could be a Corvette killer. Later I was told the project was killed because to protect Corvette. Another guy told me it had been on Woodward at night with great success.